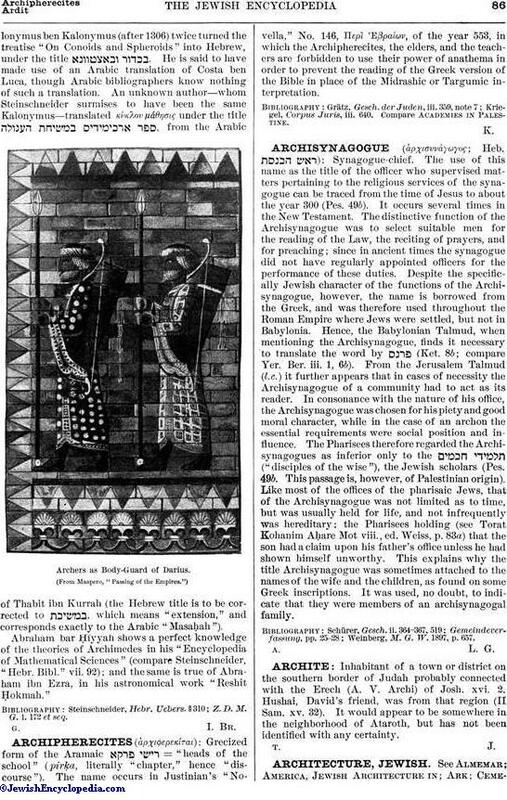 Inhabitant of a town or district on the southern border of Judah probably connected with the Erech (A. V. Archi) of Josh. xvi. 2. Hushai, David's friend, was from that region (II Sam. xv. 32). It would appear to be somewhere in the neighborhood of Ataroth, but has not been identified with any certainty.